Welcome to Pangbourne Canoe Club the racing section of Adventure Dolphin (Pangbourne) Charity. 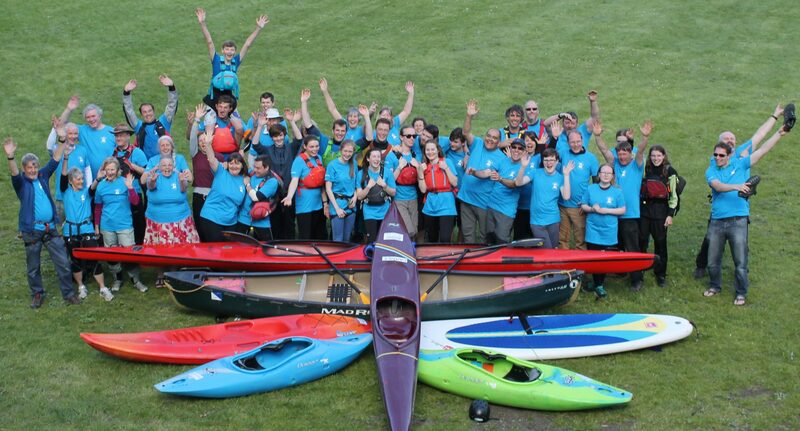 Note that all members of Adventure Dolphin Charity are also members of the Pangbourne Canoe Club. The racing section meet regularly throughout the year on a Saturday morning and some evenings during the week. Paddling regularly is a great way to keep fit and we welcome people of all ages from about 8 years and up!, whether you already paddle canoe / kayak or are new to the sport. If you are new to placid water canoeing and kayaking we would recommend that you join our ‘Introduction to racing skills’ course teaching you the basics in paddling and safety on the water. We will help you to develop your flat water paddling skills and support training for a number of events. Currently members compete in events including: The Hasler Trophy regional races, Sprint Regattas, Descents and the International Devizes to Westminster Canoe Race. If you already paddle or are a complete novice but are interested in joining our friendly club and would like to find out more …please contact us. The Pangbourne Canoe Club offer a number of ‘Come and Try our Racing Boats’ sessions throughout the year the first of which is FREE. The dates for this years events can be found by searching the calendar here calendar-of-events and are usually held on a Saturday morning between 10:30 and 12:30. Where? …at The Dolphin Centre, Whitchurch Road, Pangbourne. Please remember to bring a change of clothing and to wear clothing suitable for the time of year and weather conditions together with preferably a pair of neoprene shoes. To book please contact Vicky so that we know that you are coming and have a great time. Aim – To introduce Flat water skills in Racing boats. This course is run several times a year, dates / costs can be found by searching our course calendar (search using ‘racing’). Time: 18:30 to 20:15 on a Tuesday evening.